Real Madrid to reignite interest in Eden Hazard, David de Gea? The European champions Real Madrid are reportedly interested in to make a fresh approach for Chelsea’s Eden Hazard next summer, while long-term target David de Gea from Manchester United is also still on their radar. 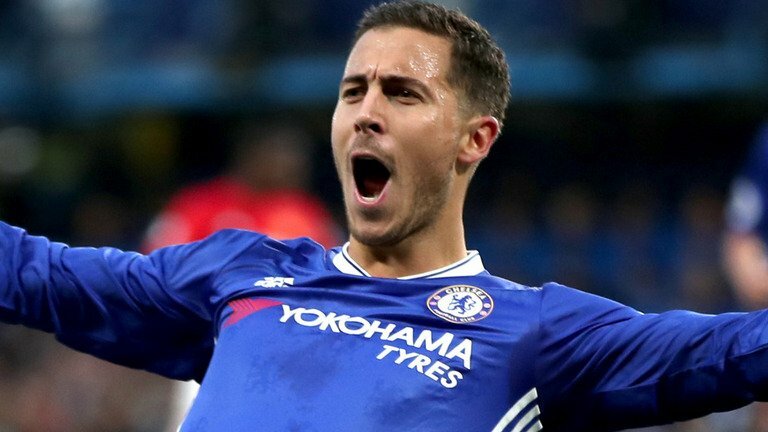 As per the reports in Spanish outlet Don Balon, Los Blancos chiefs are already working on deals for the next year and Chelsea talisman Eden Hazard is high up on their list of targets. The 26-year-old Belgium attacker was strongly linked with a move to the Bernabeu last year, though that interest appeared to fade in the recent transfer window as the player was nursing a broken ankle at the time. Real, who is currently sit seventh in the league table, make a visit to Real Sociedad on Sunday evening hoping to bounce back after their shock 1-1 draw with Levante in La Liga. It is suggested in the same report that United stopper De Gea is also wanted by the La Liga champions, in 2015 his proposed move collapse on deadline day because of lack of paperwork, while Pierre-Emerick Aubameyang from Dortmund and Paulo Dybala from Juventus are also rumoured targets.